This is our usual blend of very old vines from the gravely valley floor and two of our Hengst vineyards that we declassify almost every vintage. The reunion of calcareous soil and gravelly soil brings an interesting balance to the wine. 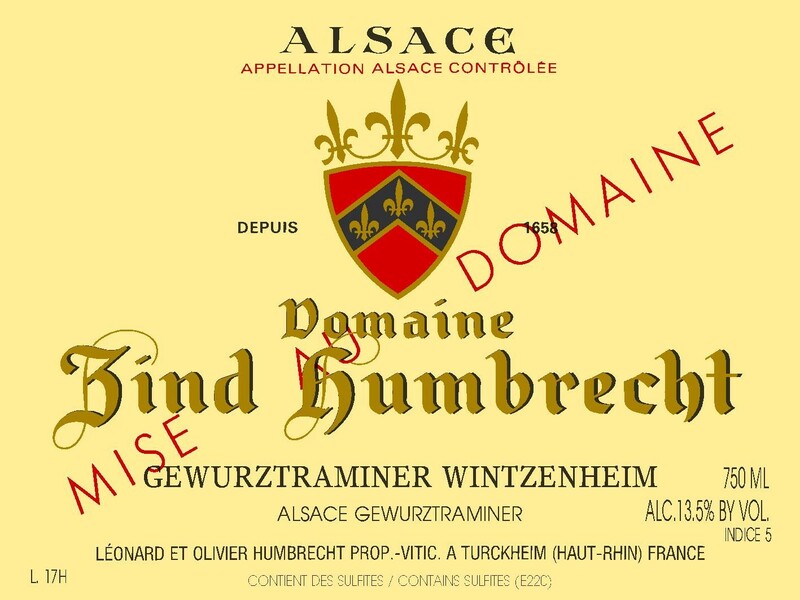 Perhaps it was less necessary in 2008 as this grape variety had excellent acid levels, but usually the calcareous soil adds structure and aging potential to the blend. Both vineyards developed some noble rot and were harvested very ripe. Medium length fermentation (6 months) left an important residual sweetness, usually only seen on late harvest wines. 2/2010: very expressive nose of litchi, roses, and exotic fruit nicely balanced with interesting spices and obvious noble rot influence. Acidity doesn’t smell, but it is possible to associate the nose flavours to acidity and minerality, even at this village level. The palate is round with an elegant lift and impressive length. Already showing a lot of character at this early stage, it will continue to develop for many years.